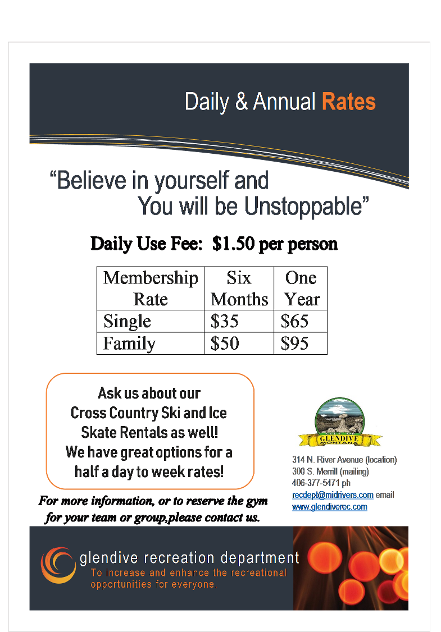 Our website is currently in the process of being updated daily with information for our Fall & Winter Activities. Dates, Times and Fees of such activities are being updated as we receive the information. We are now taking rosters and fees for the upcoming volleyball league. This league is a great way to get out and play some competitive volleyball. The League is played on Sunday afternoons at the DCHS gym and will begin March 10th. Double elimination tournament will be held at the end of the league season. 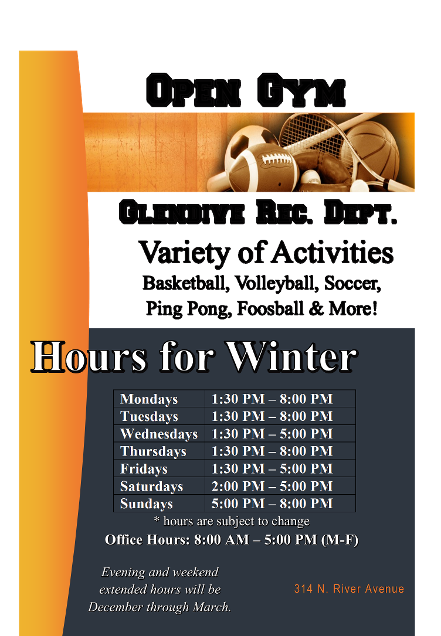 Rosters and rules can be picked up and turned in at the Glendive Recreation Department. Get a discounted rate of $200.00 per team if rosters are turned in by Friday, Feb. 22nd. 1. All registrations must be done in person. No phone, e-mail or early registrations. 2. Classes are first come - first served. 4. No registrations will be accepted at the program site. *To promote broad-based recreation opportunities in order to improve the quality of life for the citizens of Glendive and its visitors. *To increase and enhance the recreational opportunities for all ages, stages and abilities. *To increase public awareness as to the benefits of participation in recreation. *To increase the understanding of the contributions made by recreation to the economic development of Glendive. Senior Citizens Discount: 10% is available for individuals 60 years and older. 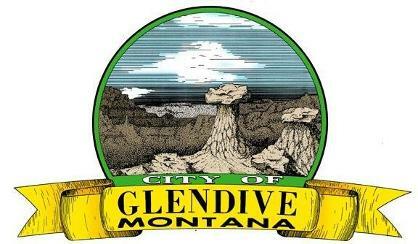 Looking for something to do in Glendive? Connect and Stay Healthy in Glendive. Kids and adults can play basketball, ping-pong, volleyball, and more!